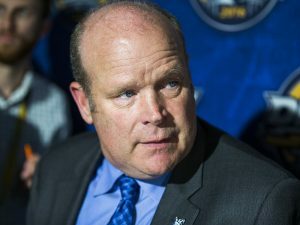 Mark Hunter is currently the General Manager of the London Knights of the Ontario Hockey League, a team that’s won two Memorial Cups and four Ontario Hockey League Championships since he and his brother Dale bought the team in 2000. Hunter was recently the Assistant GM of the Toronto Maple Leafs before he rejoined the Knights this summer. Hunter played over 600 games during his NHL career for the Montreal Canadiens, Calgary Flames, St. Louis Blues, Hartford Whalers, and the Washington Capitals.